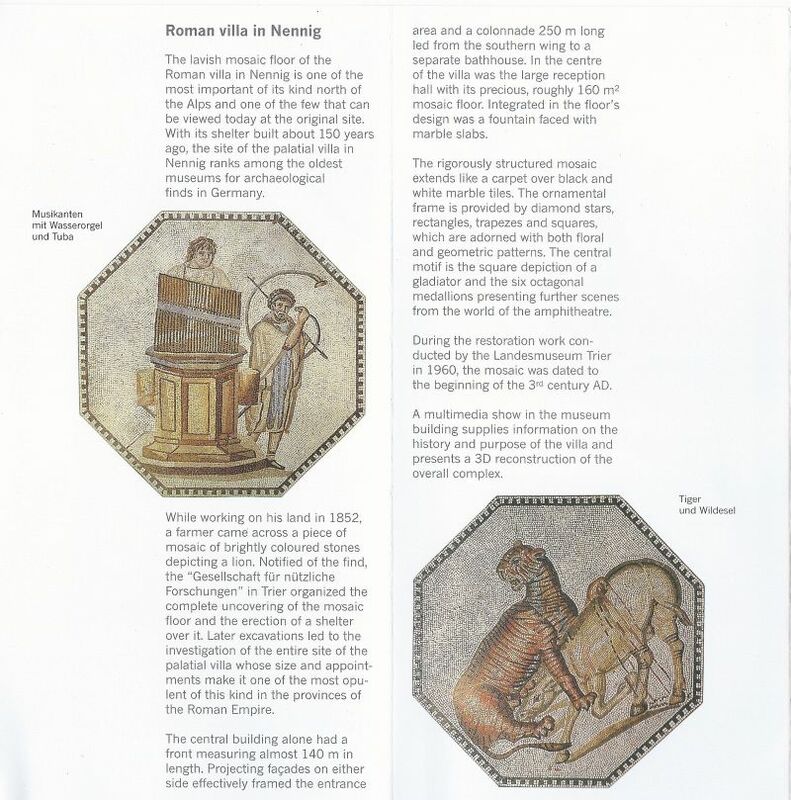 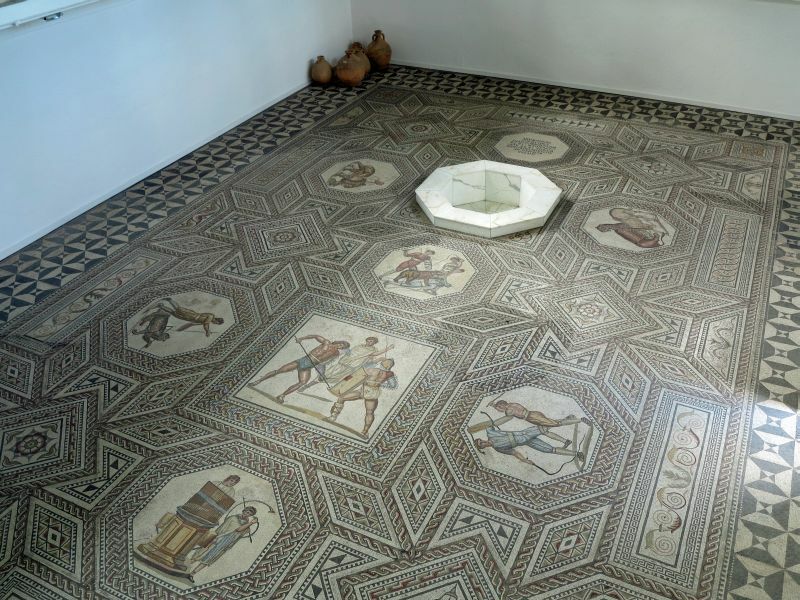 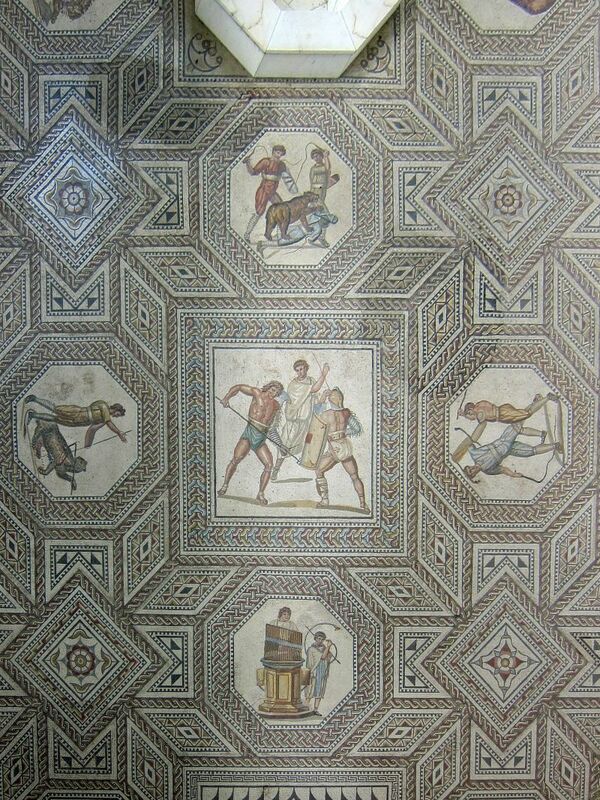 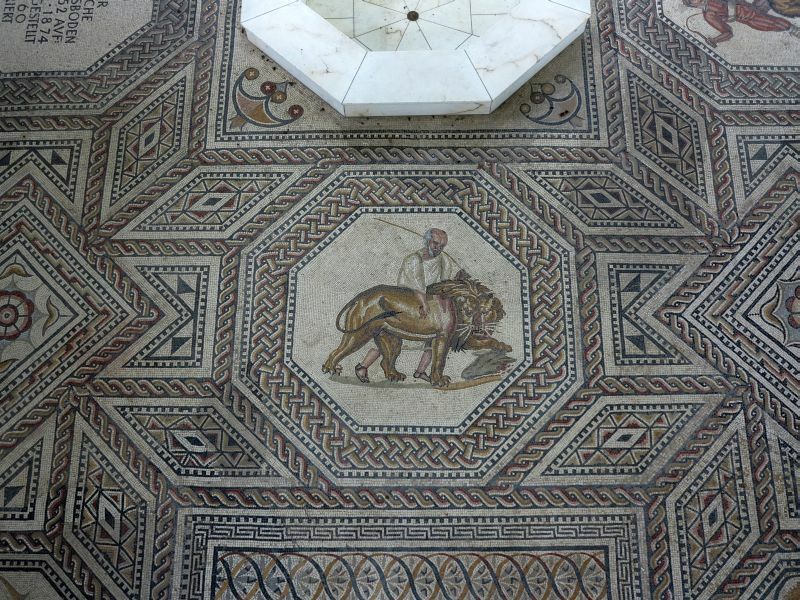 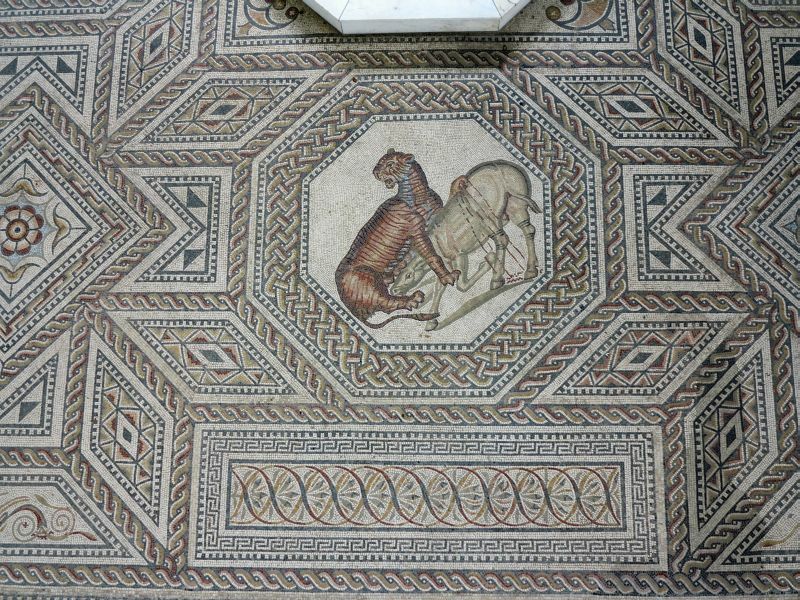 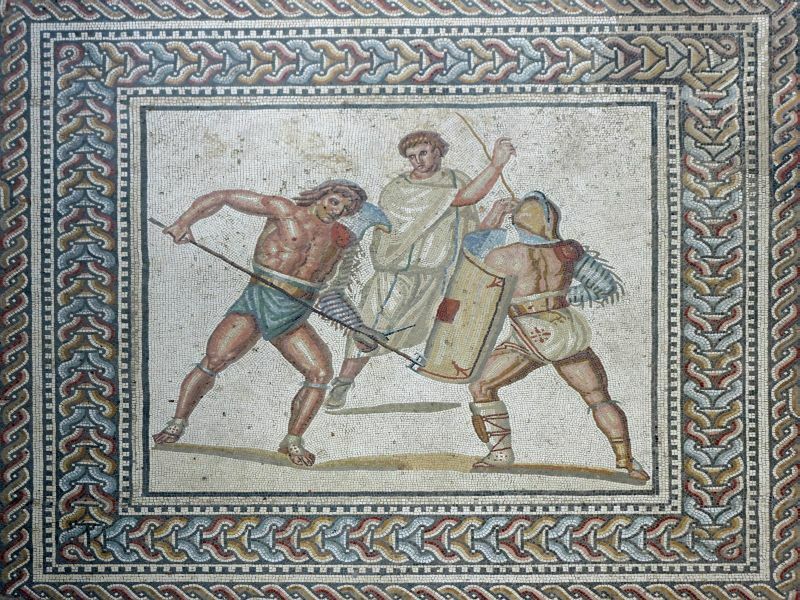 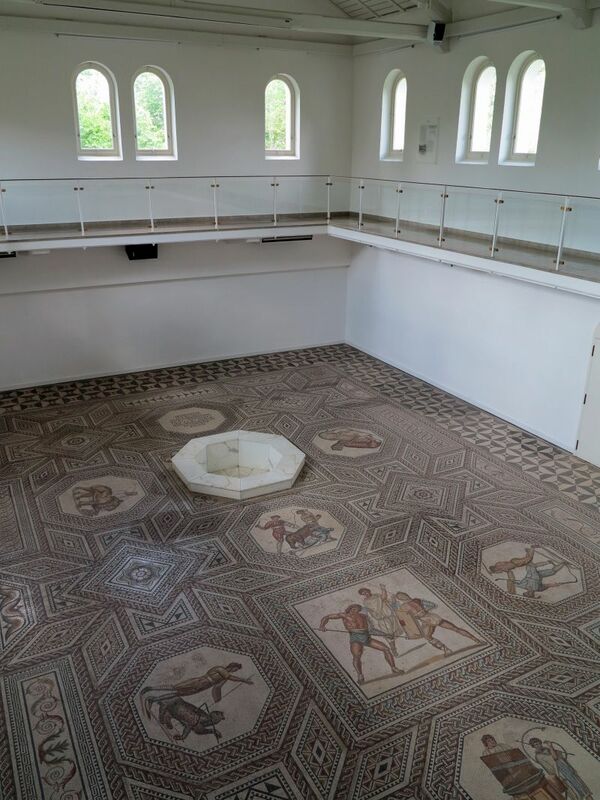 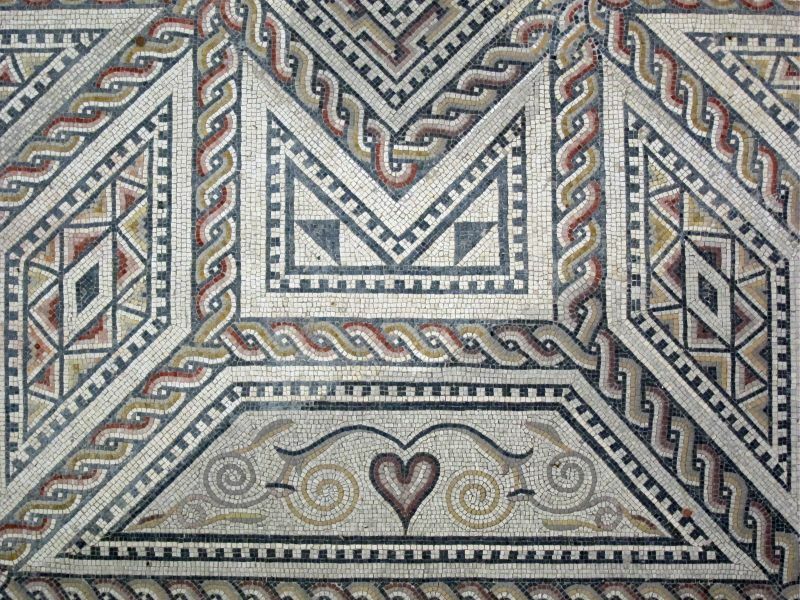 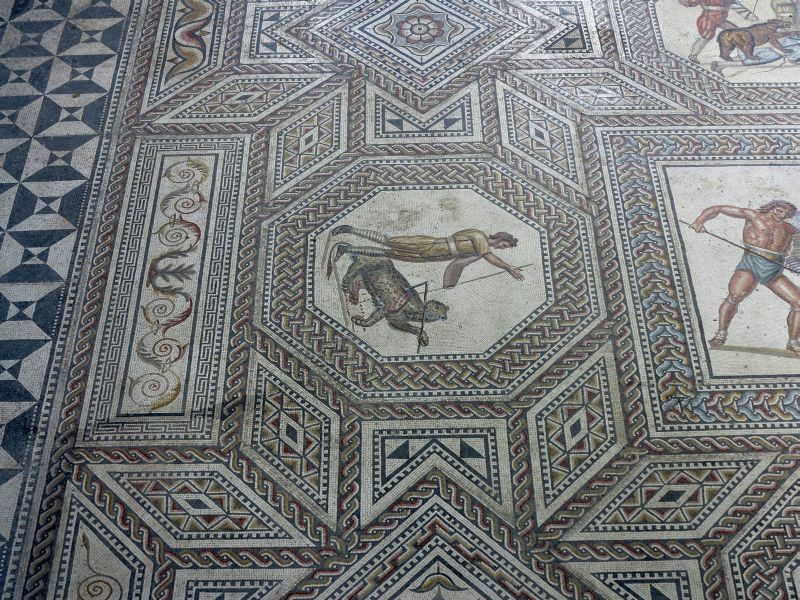 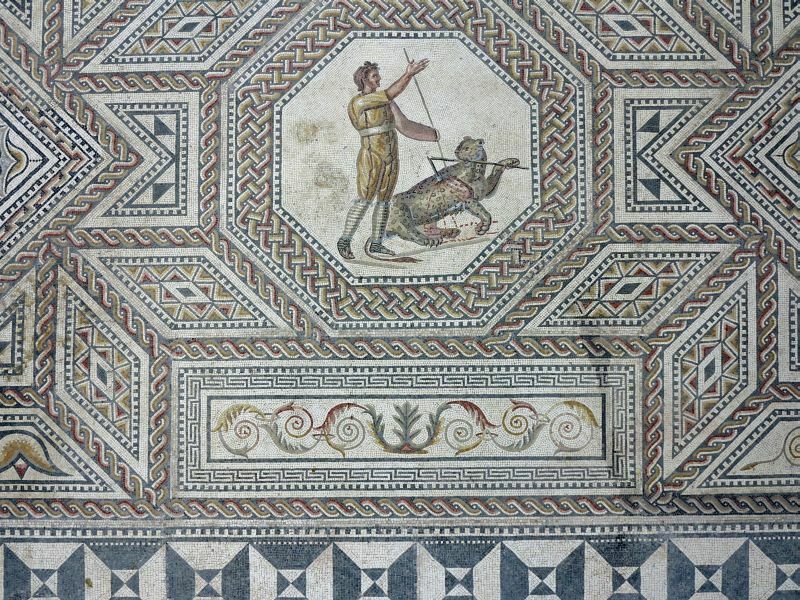 Located in Perl-Nennig south of Trier, this gladiatorial mosaic is one of the most important Roman artifacts north of the Alps. 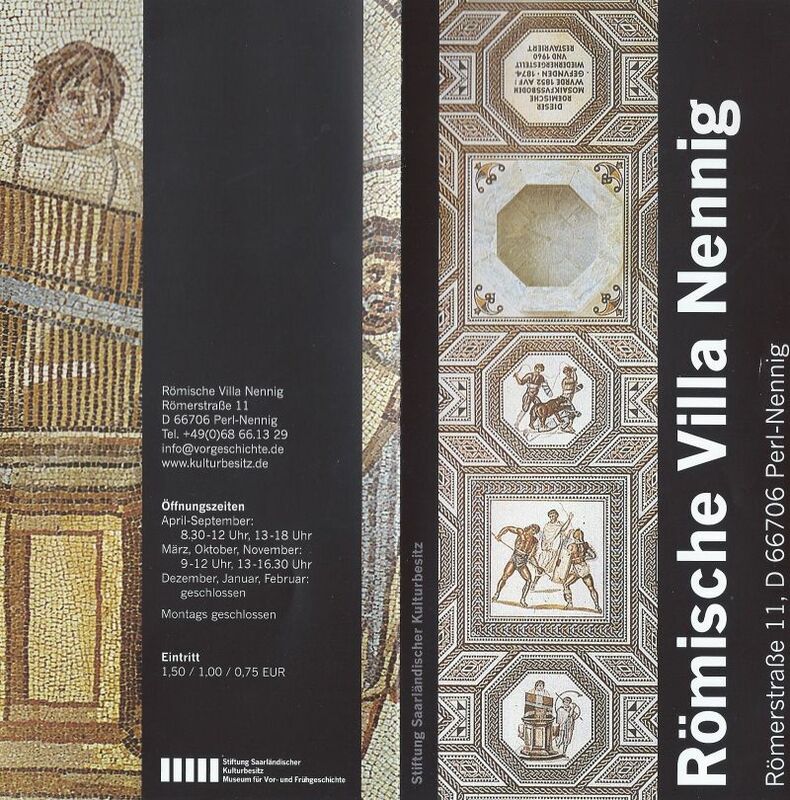 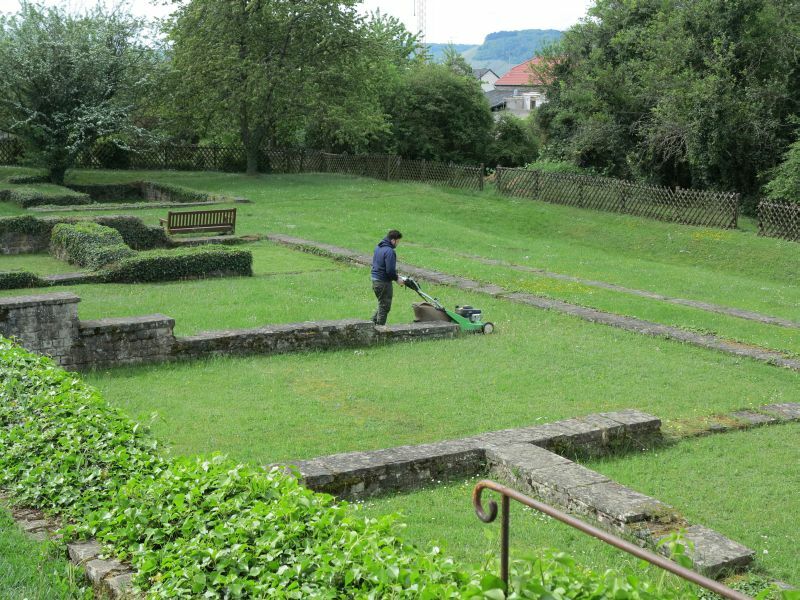 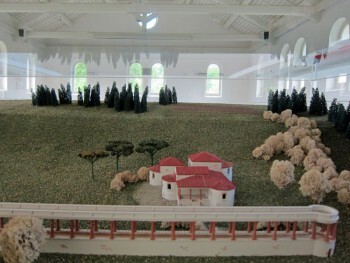 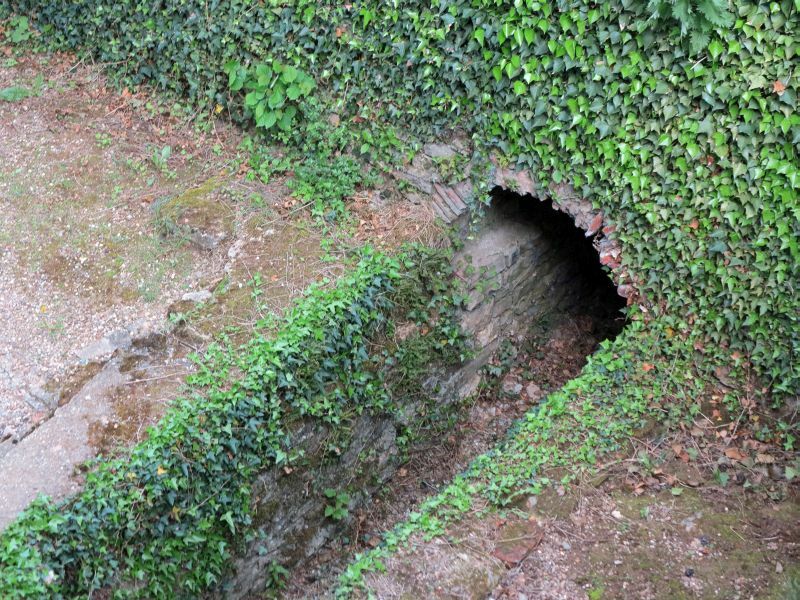 It graced the entrance or reception hall (atrium) of a palatial villa which, like those praised by Ausonius, was situated on a slope of the Mosel valley. 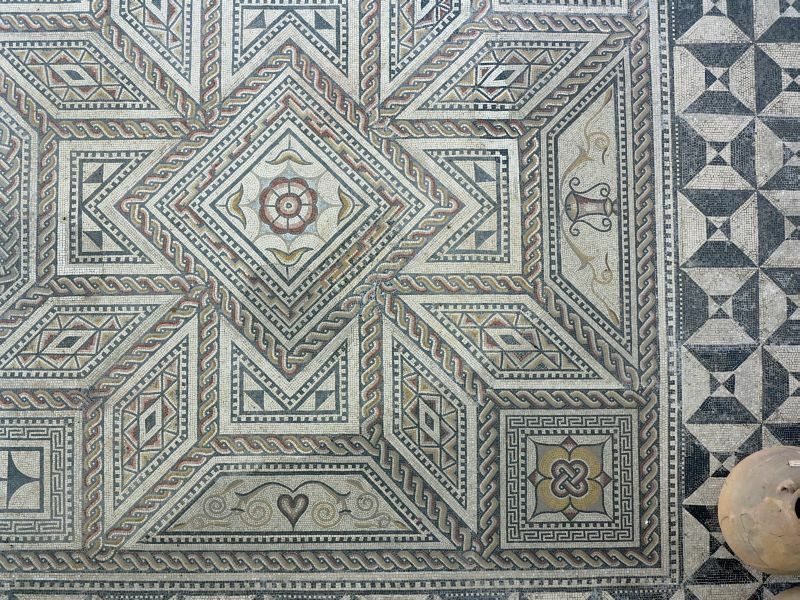 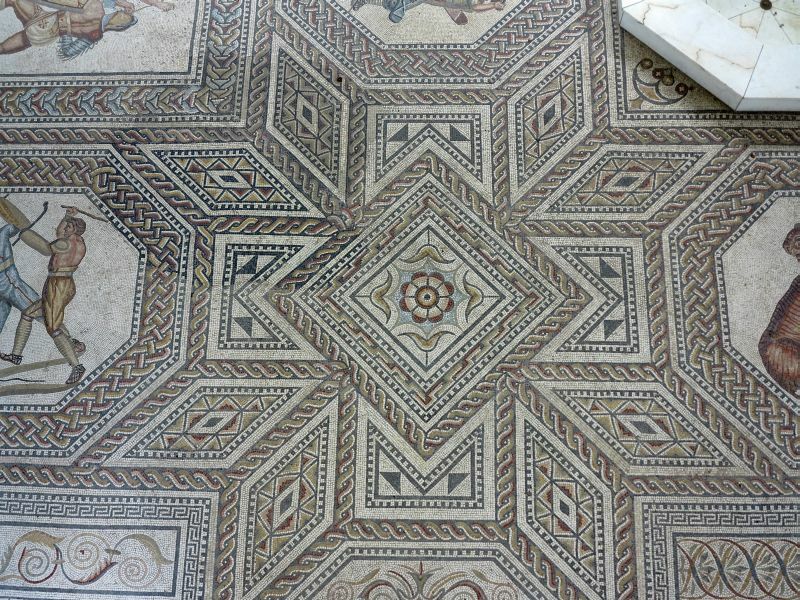 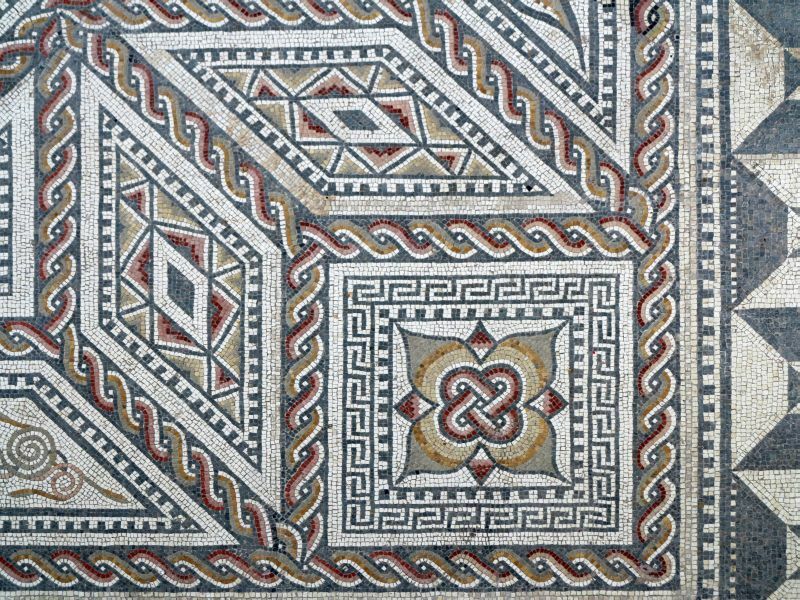 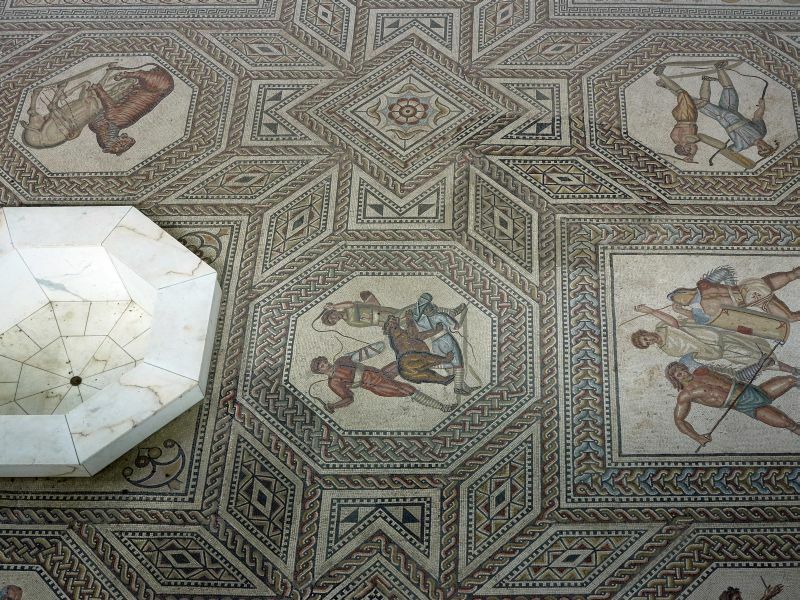 The elaborate pattern of geometrical designs is comprised of seven octagonal medallions surrounding two central quadrangles, one decorated with a scene of gladiatorial combat, the other occupied by a marble basin at the original entrance to the hall.